We have been putting the miles in over the last few days. A couple of unplanned trips have put us back a bit but they were completely worth it. 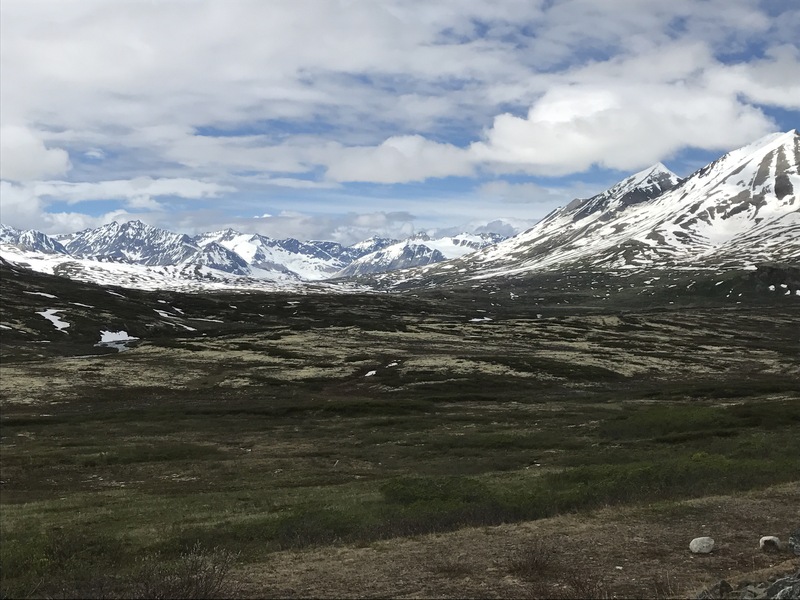 The drive from Haines Junction to Haines was spectacular. With incredible views and mountain vistas. Imagine this for 100 miles. 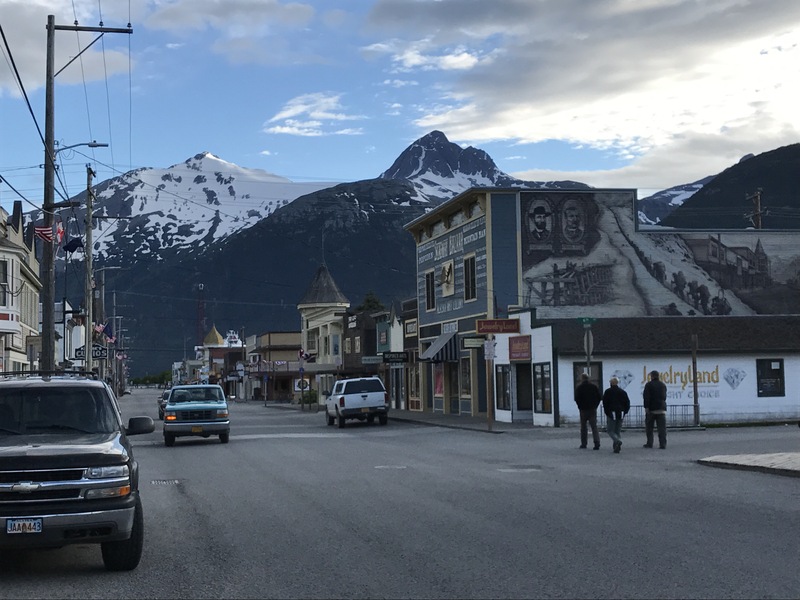 From Haines we did a quick ferry ride to Skagway where we spent the night. We had dinner in a brothel, met a lady with a chicken, and pitched our tents on the boulevard of the campground that was in the middle of town. From there we entered back into Canada over Chilkoot Pass. We saw the most amazingly blue lakes and desolate landscape that we have seen yet on this trip. The first portion of this highway resembled what I would think a moonscape would look like. Our destination for the day was the Cassiar Highway. 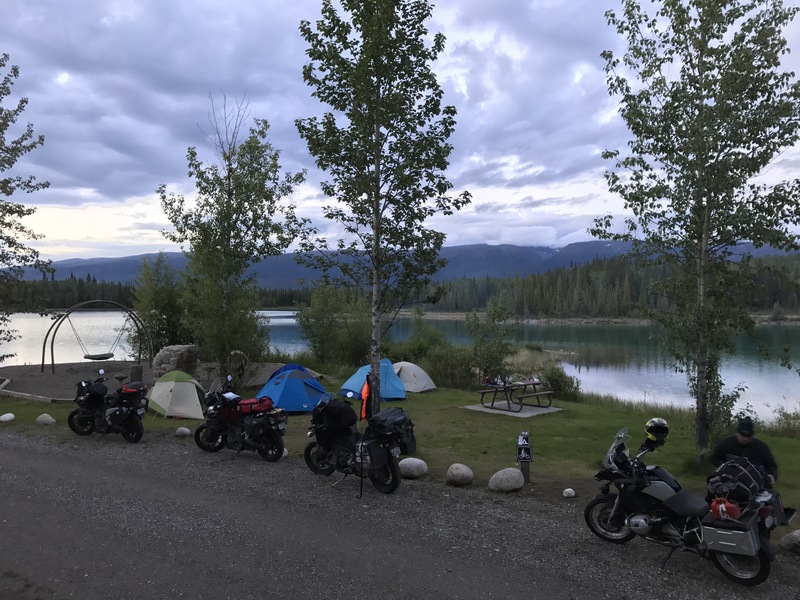 We camped at a provincial park called Boya Lake. We had reconnected with Steve and Bryce, met some new riders Greg and Cindy, and met Moe Dixon again, where he graced us with a couple of songs on Bryce’s guitar. 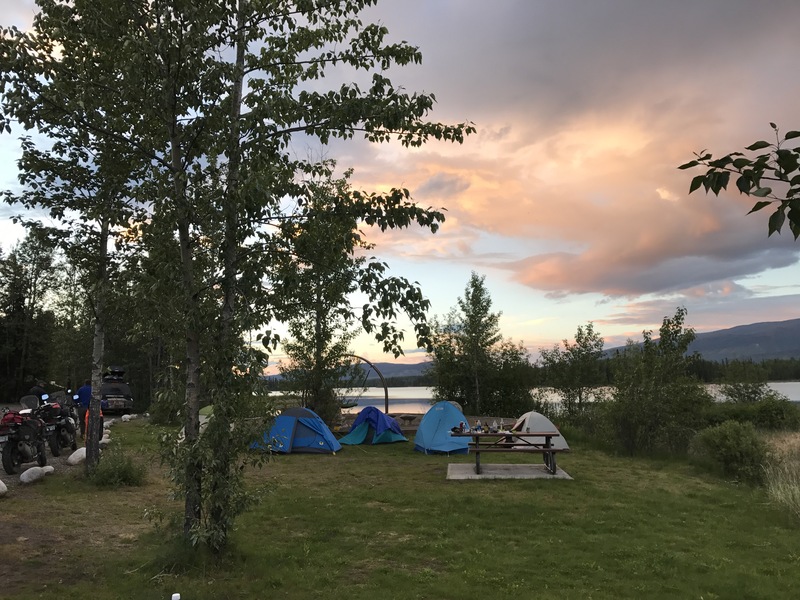 Next thing you know we had a party on the prettiest little trout lake in the Yukon. 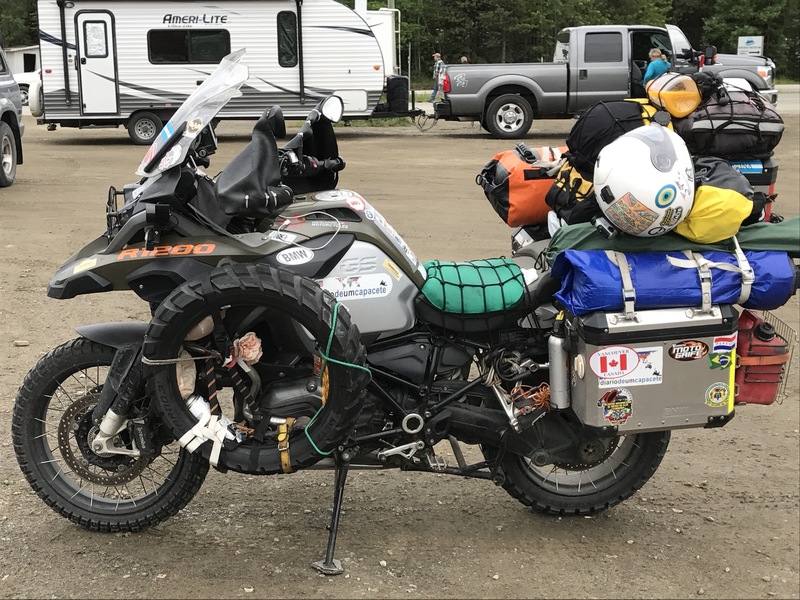 Next stop Stewart, B.C. 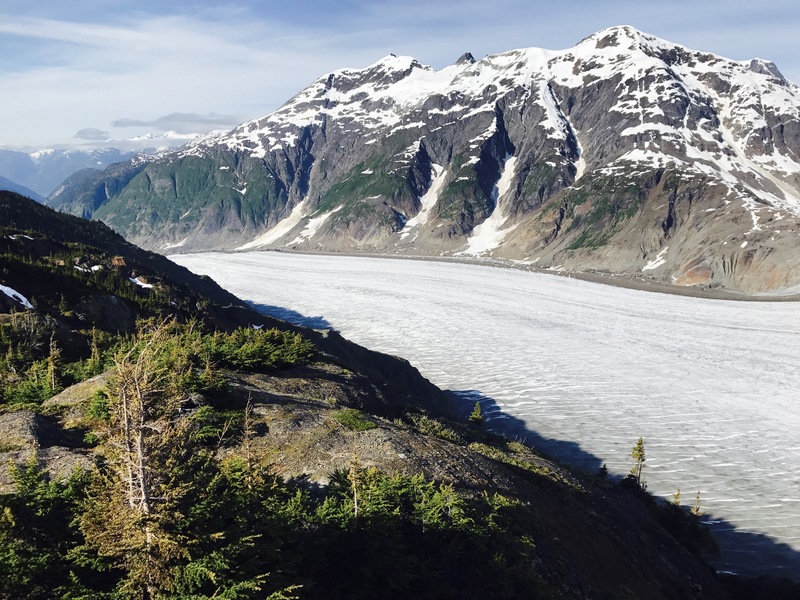 And Hyder, AK to see the Salmon Glacier. 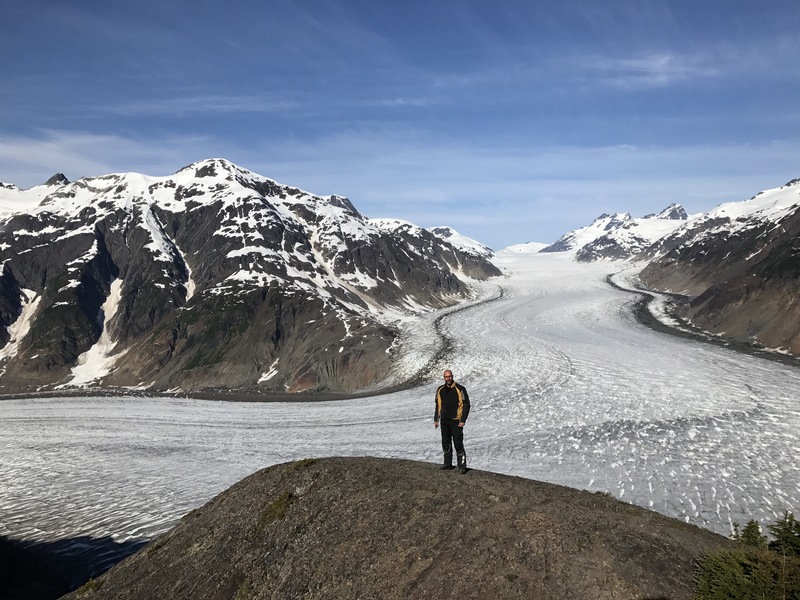 Allen standing near the Salmon Glacier. Deese Lake, BC gas stop, lunch break, and impromptu motorcycle rally. 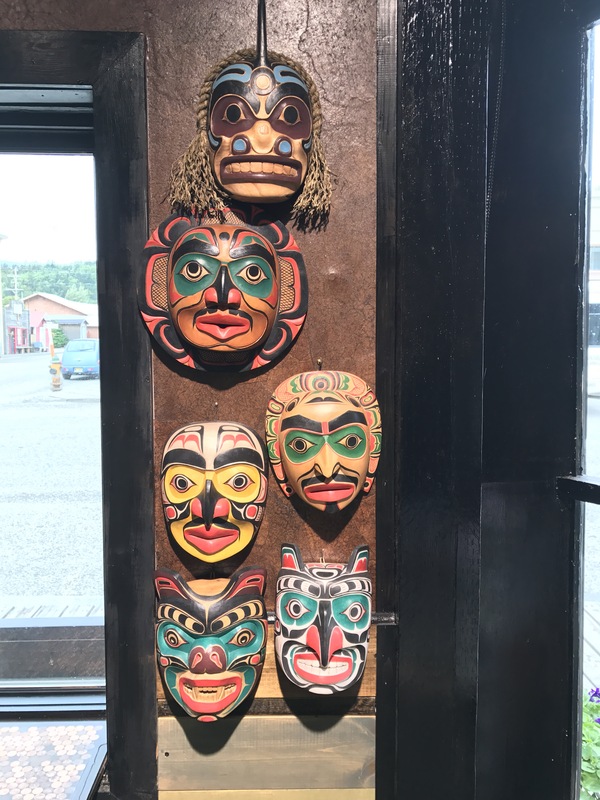 Coffee shop/Gift shop in Skagway, AK. The super awesome Chicken Lady in Skagway. Thanks for the treat. 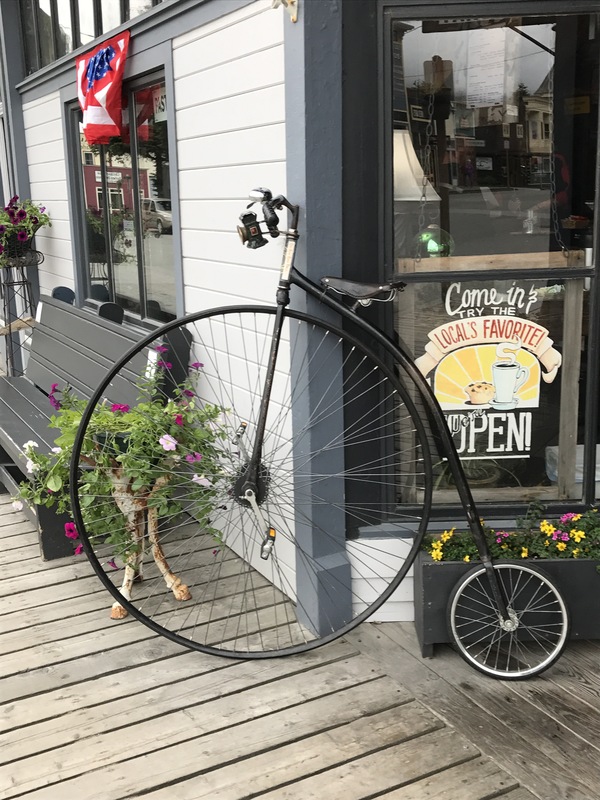 Skagway. Luring Tourists to there shop. Next Next post: A visit to the Robert Service cabin. People in MN are fully jealous. Its swampy hot, and partly cloudy here today.